At Vanguard Medical Group, we understand that you want a trusted family medicine physician who can coordinate your primary and specialist care, accept major insurance plans and provide evidence-based care. We formed Vanguard Medical Group to bring together well-known and successful primary care practices in Northern and Central New Jersey to provide the most effective personalized care for you and your family. Vanguard Medical Group was created in 2012 through a merger of three established, well-known and successful primary care practices in northern New Jersey (Changebridge Medical Associates, Cranford Family Practice and Town Medical Associates). In 2014, two additional practices joined Vanguard in North Haledon (formerly High Mountain Health) and Lincoln Park. The Vanguard office in downtown Jersey City opened its doors in May 2016 to fill a void in primary care in that area, In 2017, Randolph opened in June and Montclair/Glen Ridge opened November. Many of the founding physicians have practiced for more than 20 years in their respective communities and are leaders in their local healthcare delivery systems. 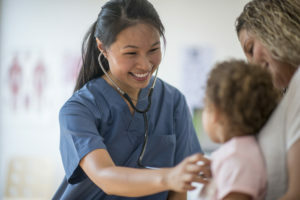 The driving force to become a cohesive larger New Jersey family care practice was the recognition that the healthcare system was rapidly changing in ways that did not support small or solo independent physician practices. Even so, the family care providers at Vanguard believe that a strong culture guided by a shared vision and governed by shared values must be, and is, at the core of this new organization. When it comes to caring for your family you want physicians that you can trust. Our network of providers are at the forefront of family medicine in New Jersey. Our team includes former presidents of the New Jersey Academy of Family Physicians, residency directors, educators from New Jersey medical schools and department chairman from local hospitals. Contact our team to learn about how we can care for you and your family today!